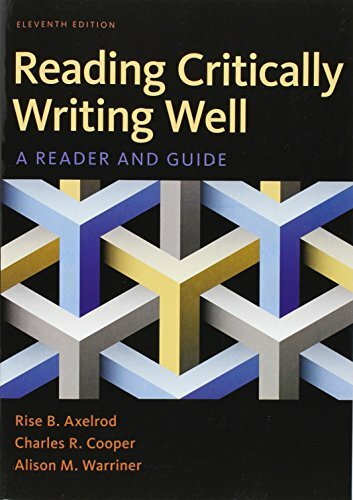 With more critical reading coverage than any other composition reader, Reading Critically, Writing Well helps students read for meaning and read like a writer, and it guides them to use what they’ve learned in their writing. Each of the book’s 8 assignment chapters includes a specific guide to reading that challenges students to analyze the authors’ techniques as well as a step-by-step guide to writing and revising that helps them apply these techniques to their own essays. Great textbook for several levels of composition.